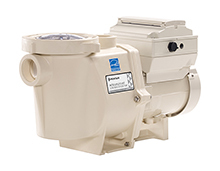 The variable speed pump that started an energy-savings revolution is back, and better than ever. With energy savings of up to 90%* versus conventional pumps, a new easy-to-read rotatable keypad and advanced programming capabilities, there's even more to love about our latest IntelliFlo. And did we mention its unmatched field reliability? Now you know why it's the top choice for pool pros and pool owners around the world.